Om and Namaste - What do they really mean? Maybe you googled "om" or "namaste" and my site came up. Maybe you know me and you dug through to find this page. Either way, welcome to my heart. Om is essential to hOMe. Home is what I want to create- not just a house, but a place of peace that I love to be in. This is why I've built this site - to share with you how to bring this peace into your own home. Namaste - beyond that peace, I believe in the power of connection. This word is the essence of discovering that connection by identifying what is beautiful both within, and in your connection to others. I've linked these words to the wikipedia definitions that cover far more than what I've covered here. Here is simply my definition of why these words resonate with me. Have you ever had those moments where you need to just step back and say "oooooosah" or "breathe" or count to ten? Those times where it's all you can do -with the craziness in your household or your work- to not just throw in the towel and scream "I QUIT!"? Those are the times I remember "om". These two little letters reflect a sacred depth of meaning that connects to a higher power and deeper level in the universe. 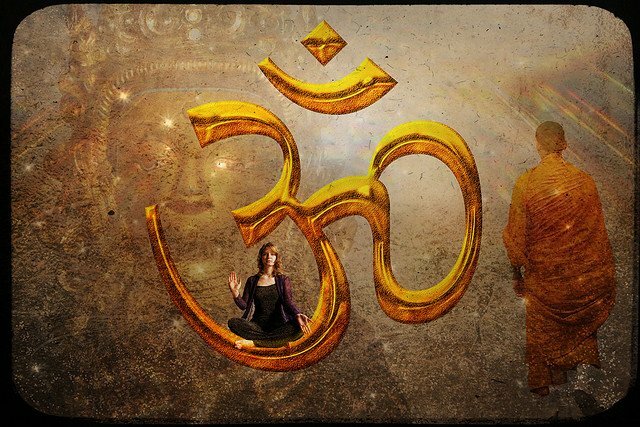 "Om" is a highly sacred word used in many Dharmic religions such as Hinduism, Sikhism, and Buddhism. You'll hear this repeated over and over as a chant in certain yoga classes and meditations as people strive to go deeper within themselves and deeper into the universe. It's a word that conveys, to me, the rhythm and smoothness of meditation, peace, calm, and home. That's why I bring out the OM in hOMe. I want you to remember that home can be deep, sacred, honest, peaceful and calm. Om is home within your heart - and a connection to something More. We Are Energy, and We Are Powerful! Energy is all around us, and is in every matter, including humanity. Our energy affects more than our own actions; it affects everything around us as well. This study truly fascinates me - just simple water was exposed to words and conscious thoughts of different emotions. The different crystallizations once the water was frozen convey just an inkling of the affects energy/consciousness has. We are made up of over 60% water - if one crystal forms this based on the energy around it, think of the impact we have on ourselves and others simply by the thoughts we carry with us at any moment! Sweet Namaste. This is my most favorite word. This is a common salutation in places like India and Nepal, however, why would a simple "hi" be so important? Because this isn't just a base word for an informal greeting, like we have for "hello" and "hi" in the USA. Oh no, this takes us beyond an initial hello to a deeper meaning yet again. There are many variations of what "Namaste" really means, yet my way of defining it is "the peace within my soul recognizes the peace within yours." If you've ever watched Avatar, you may remember their greeting of "I see you." It is that deeper recognition - seeing into the heart and soul of someone and finding a deeper connection. We all long for "namaste" in relationships - that connection to the innermost peace in each other that transcends all surface talk, bickering and hurt and that simply connects to the core of humanity and spiritual awakening. Remember, within us all lies a connection beyond what we can comprehend. Think beyond your daily life, the place you live, and your religion. We are a tiny blink of an eye in a much greater universe beyond our imagination. When we open up to the outside by filling up from the inside out with peace, love, and calm, then we start to see the connection. Take a deep breathe, place your palms together and find your hOMe. 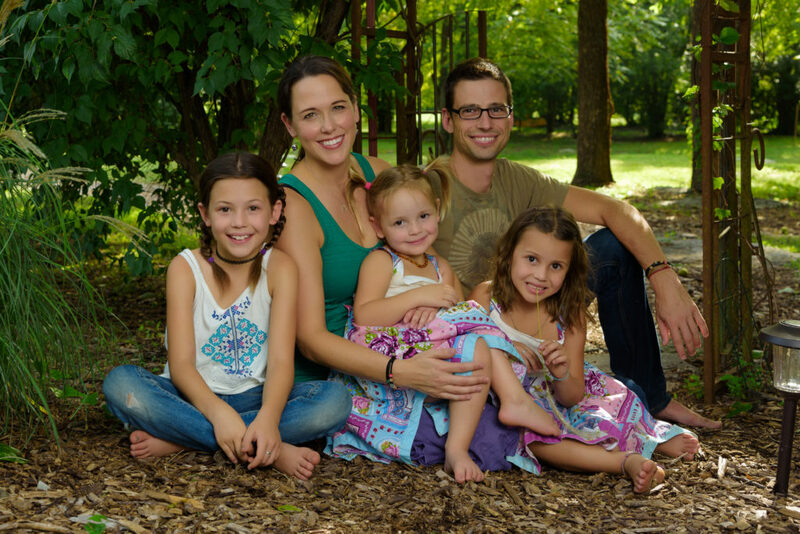 If you are seeking this connection in your family and want to talk with me about how to release the chaos and create the family environment where everyone is honored and you truly enjoy being home, check out my coaching packages. Shoot me a note and I would be happy to customize something to fit your needs.